Dumaguete is the capital city of Negros Oriental. It can be accessed via plane from Manila on almost all major airlines in the country. Another way is via Cebu. From Cebu City, you have to travel on land for about 4 hours down to Liloan Port located in the southern tip of Cebu island. From there, you will have to cross the Tanon Strait for about 30 minutes docking on Sibulan port. A few minutes drive from there will take you to Dumaguete City. So, what can you do if you're in Dumaguete? Here's three things you can do over a weekend. After a long trip especially from Cebu City, you would understandably be very hungry. 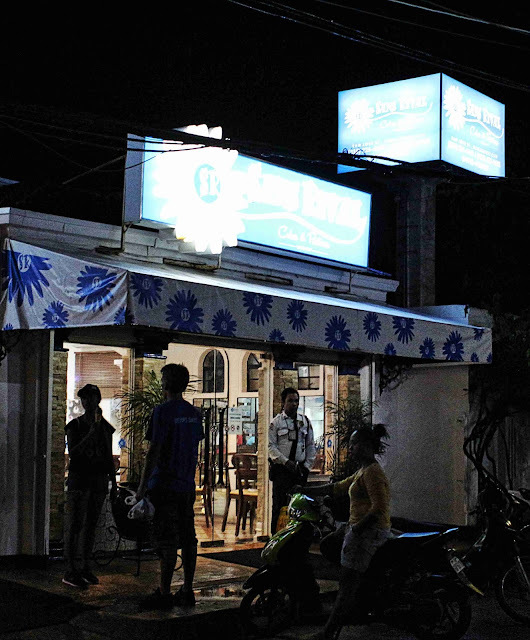 Dumaguete is famous for the Sansrival Restaurant. As the name suggests, it used to be a bakeshop with sans rival as the main offering. Sans Rival, by the way, ia a Filipino desssert made of layers of buttercream, meringue and chopped cashews. Now in addition to the bakeshop, they have a fine dining restaurant offering local and international delicacies. You can fine western and eastern food at the same time. And it cost about 20% cheaper than in Metro Manila or Cebu City! 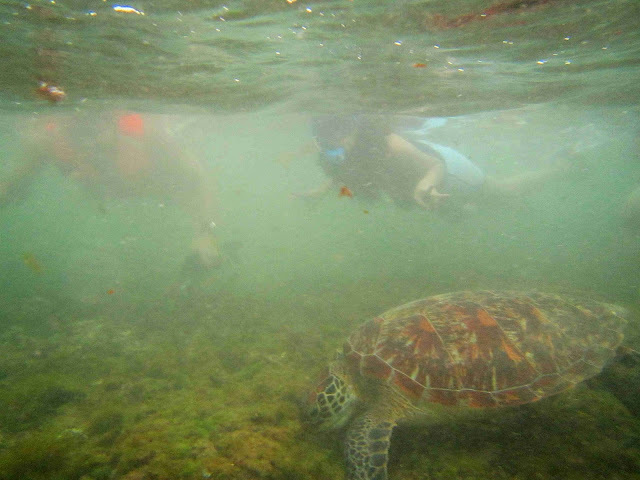 If you're in for a 'natural' adventure, then I would recommend swimming with the turtles in Apo island. It's located across the the town of Zamboanguita, about 20 minutes from Dumaguete City. Boat ride is around 3500 pesos for ten persons but you can always negotiate especially for smaller groups. Entrance fee of 100 pesos will also need to be paid when you reach the island. Renting life vests and goggles will cost 100 pesos per item. 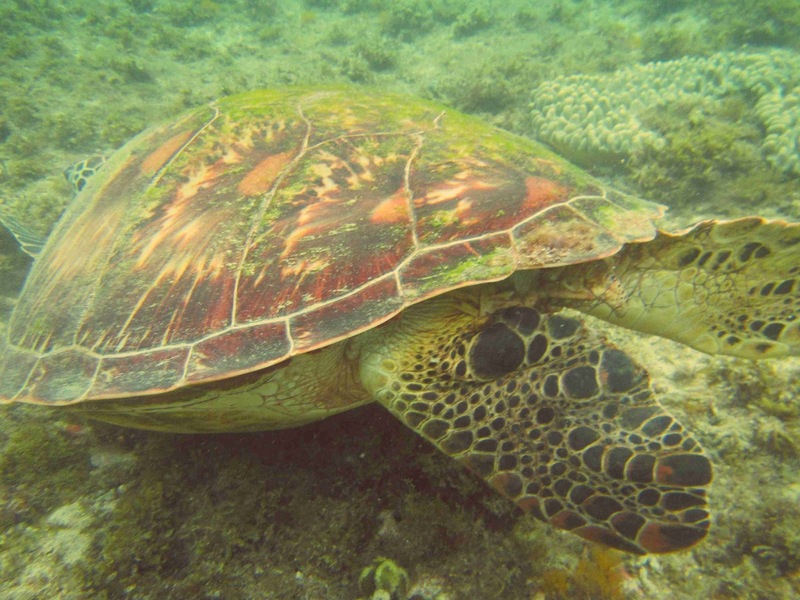 Here's some underwater photos to give you an idea of how beautiful the experience is. About an hour of drive from Dumaguete is Bais City. Across that city is a beautiful white sand bar that appears and disappears on tidal condition. You can rent a boat to take you there and in addition to that, dolphin watching and visiting the causeway in the mangrove forest. The entire activity may take almost 7 hours to finish. Here's some interesting photos.